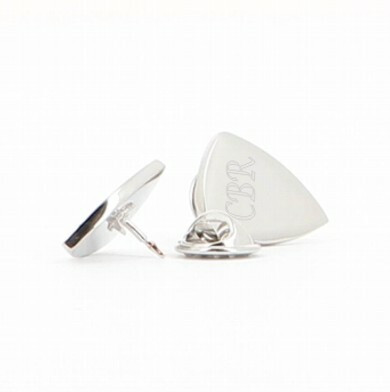 Personalised Engraved Silver Plated Guitar Plectrum/Shield Shaped Lapel Pin with butterfly clasp. Personalise this unique gift with your own text, due to the size please keep it to a name, word or date. This unique gift measures 20 x 14 mm.